I was again at the PyConDE, this year in Cologne. As before, the conference was a mix between different types of talks. It seems like this year we had less people attending compared to last year, at least the crowd in the main hall looked much smaller (see photo). The conference included a beginners programming competition for school students (13-21), the 2 winners showed their project in the opening keynotes. The project had to do something with Blender and Python and one of the winners (a 13-year old boy!) presented a generated animation of a Skat game with a very solid software design. All that after just 9 months of learning Python was really stunning. Andreas Schreiber most certainly gave up a lot of personal information in his very practical talk about the "Internet of Things", in which he showed how to connect various devices to the cloud via the Message Queuing Telemetry Transport and the Raspberry Pi. In a live demo he even checked his weight on an Internet-enabled scale that pushes the result to his phone. Besides giving this talk Andreas was the main organizer of the event. Maybe one of the more useful talks was about using the Cython compiler to speed up Python code. The talk by Stefan Behnel gave a practical introduction into using Cython and showed with a diffsort example that Cython can already bring a 30% speed improvement by just compiling the Python code into C. Further manual optimization can yield even further speedups. In many cases it is enough to map locally used variables like array indices onto simple C data types (e.g. int or long). The PyCon is always good for a surprise. Andreas Klostermann showed us in his talk Brain Waves for Hackers how to use Open Source tools to anaylize brain waves from common brain wave detectors. The live demo showed how this technology can help to imrove mental abilities like concentration and attention. He even programmed his own presentation software to embed the live output from his brain! Several people on this years organization team work at the DLR, the national aeronautics and space research centre of the Federal Republic of Germany. As a result there was a whole bunch of really interesting talks from their field of work, e.g. about programming robots, using Python for scientifc purposes and other topics. Not widely known, the DLR actually publishes a lot of interesting stuff as open source on http://software.dlr.de and seems to be an open source friendly place. My hope is that this slogan will give people something to think about and maybe help them to think more about DevOps-style IT. I was there with two colleagues. Maximilien Riehl and Marcel Wolf gave a talk about "Continuous building with Pybuilder". Pybuilder is an open source project to simplify automated building and testing of Python software. Max also gave a lightning talk with the demo video about YADT, our deployment toolkit. 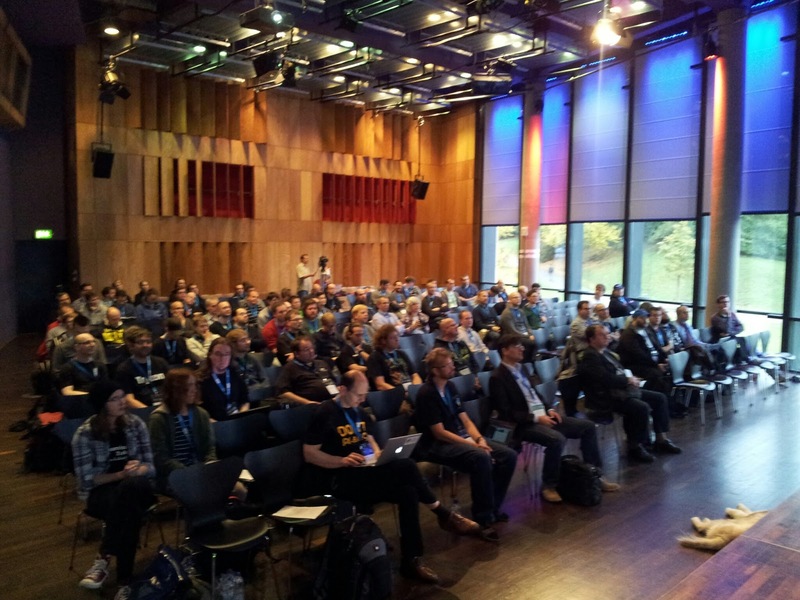 Marcel gave a lightning talk about "Agile Software Development for small teams". 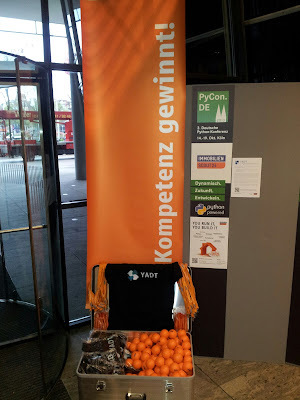 My own contributen was a talk about Open Source Sponsoring - how to convince your boss. This is the expanded version (thanks for the full hour!) 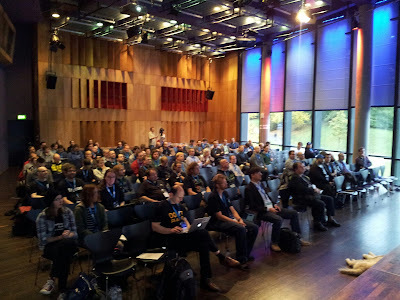 of my talk at the last LinuxTag with much more focus on the "boss" part. The main thing to do is to understand how the boss thinks and what worries him/her. Both will probably return as full conference talks next year.